HOUSTON, TX--(Marketwired - Feb 19, 2014) - CAMAC Energy Inc. ("CAMAC") (NYSE MKT: CAK) announced today that a long-term contract has been signed for the floating, production, storage, and offloading vessel ("FPSO") Armada Perdana. The contract provides for an initial term of five years beginning January 1, 2014, with an automatic extension for an additional two years unless terminated by CAMAC with prior notice. 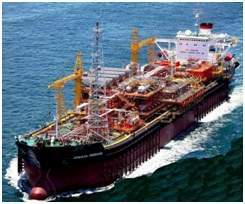 The Company plans to utilize the FPSO for its multi-year, high-impact development and production operations in Nigeria. FPSO Armada Perdana has a production capacity of 40,000 barrels of oil per day, and storage capacity of 1.1 million barrels. It currently supports our daily production of approximately 2,000 barrels of oil and 40 mmcf of natural gas from the Oyo Field in OML Block 120 offshore Nigeria. "Securing this infrastructure for up to seven years is another milestone towards the growth of CAMAC," said Segun Omidele, Senior Vice President of Exploration and Production. CAMAC Energy is an independent oil and gas exploration and production company focused on energy resources in Africa. Its asset portfolio consists of 8 production and exploration licenses in 3 countries covering an area of 41,000 square kilometers (~10 million acres), including existing production and other major projects offshore Nigeria, as well as exploration licenses with significant hydrocarbon potential onshore and offshore Kenya, and offshore Gambia. CAMAC Energy is listed on the New York Stock Exchange and is traded under the ticker symbol CAK. For more information, visit www.camacenergy.com.